The 18 carat Yellow Gold band of this ultra-contemporary engagement or dress ring has bevelled edges, for a clean finished look. 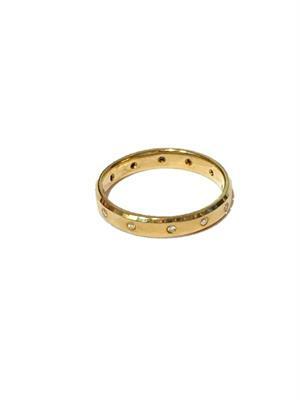 Set all the way around the band are twelve 0.008ct sparkling Diamonds. LAST ONE LEFT IS A UK SIZE O 1/2!